I thought colleges would expect a full recount of my high school experience, my struggles and triumphs, my joyous moments and woes. Going through the college application process, you would think that convincing a college to accept you would require nothing less than a thousand words . . . or at least 500. It doesn’t feel like enough to just consider a student’s academic prowess; you also need their social and mental status throughout those grueling years. There are various misconceptions around these 250 words. A fellow student mentioned to me that she wasn't able to start her application essay because her life was just “too good.” I sat listening to her, baffled at the mere fact that students think a “good essay” must be sad and sorrow filled. Students believe they have to fill their essays with stories of misfortunes, death, or sickness. These essays are then expected to sneak into the hearts of admission officers, who will grant immediate acceptance. Not so. Students should not become preoccupied with the concept that a college essay has to be filled with an overabundance of poignancy. And it is a warped mentality to think you are somehow “less” because your life has few dramatic events. A college essay is a narrative. It is your values, your evolution, your inspiration, and your aspirations compressed. It is a combination of not only your low points but your highs. After listening to my fellow student’s ambiguity about her essay, I told her that even though it might seem like colleges prefer a melancholy story, that’s more because I think they're really looking for improvement and overcoming difficulties. [Editor’s note: she’s right.] Most guidance counselors will tell students this truth. College admission counselors’ main concern is to see if a student has improved over the course of four years, if they are resilient. Another confusion about college essays is structure. Students are unclear on how to structure their essays. Even with the probing essay prompts, students are uncomfortable with writing such a life-determining essay. A college advisor once told me to frame the essay as if I was telling the story to a friend or a close adult. She also said to include a moment of weakness and later a moment of jubilation. I bequeath this same advice to you. Even if your life is (fortuitously) free from low points, it’s important to show your progress. You should show how you are resilient and even in the face of academic roadblocks, you, as a student with other responsibility to life and family, can persevere. The final confusion about college essays is the length. For some students 250 words isn’t enough; their high school experience is too rich with change and joy and sorrow. Then there are those students—quite possibly the majority—who cannot conjure up a single syllable to describe their experience, so 250 words is an intimidating request. This can backfire in two significant ways. First, the student becomes so discombobulated that they ramble on and on just to put words on the page. Or the student becomes so intimidated that they put off the essay until the day before it’s due and the essay doesn’t fully live up to its potential. That’s why it helps to focus on your narrative, not the length. 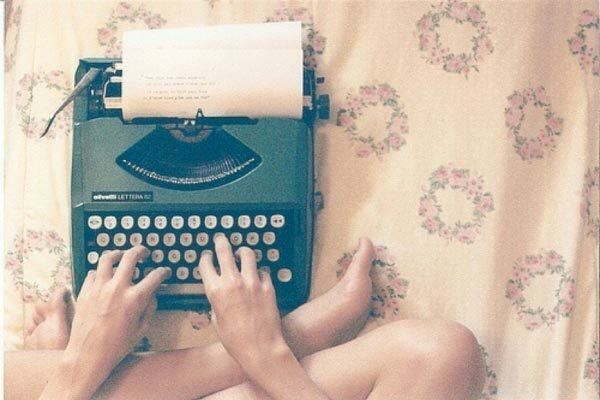 The important thing to remember is that when writing about something you’re passionate about, the words will come. They just seem to materialize. Put your heart and soul into your essay. Allow the reader to empathize, to walk in your shoes, and to experience your experiences. Each of our lives is a narrative that we must eventually put into words. High school years is one chapter of a greater novel.